E-Cigarettes have never had the stigma that traditional smoking has always had – the smell. For some the smell of cigarettes is nostalgic but there’s no getting away from the fact that the aroma lingers on and on. The smoke often clings on to furniture and furnishings of the long term smoker and it not only smells like decay but also leaves toxins in the surrounding environment according to ANR (Americans for Nonsmokers’ Rights). What Makes Cigarette Smoke Linger? The traditional cigarette contains over 600 ingredients which release up to 6,000 chemicals when they’re lit (American Lung Association). When they’re burnt to high temperatures, these chemicals are released into the surrounding environment and are often absorbed in fabrics and even the smoker’s hair in enclosed spaces. According to the Scientific American the most toxic places for cigarette smoke to linger are enclosed spaces like cars. Unlike cigarettes, E-cigarettes don’t contain the large number of chemicals that are contained in traditional cigarettes. 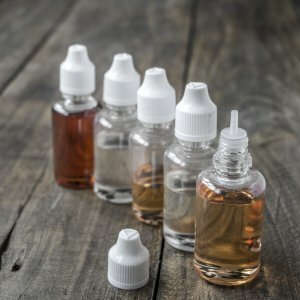 In fact the e-liquid that creates the vapour is made from three main ingredients including nicotine (if it contains nicotine at all). Food flavourings are also added to give it a great taste. But Why Doesn’t E-Cigarette Vapour Linger? E-cigarettes produce vapour, not smoke. The e-liquid is heated by an atomiser within the E-cigarette at a high enough temperature to release the vapour. Because the ingredients aren’t being burnt the smell quickly fades. It essentially has similar properties as steam but at a much lower temperature that’s safe for someone to inhale. In fact, when inhaling, many find that the taste is often rather enjoyable with a variety of flavours to choose from. But Vapes Contain Nicotine, Right? Nicotine has always taken centre stage when discussing addictive qualities of traditional cigarettes and understandably it has a stigma. However, the nicotine itself has little or no harmful effects. Some scientists argue that it can have a similar effect on your health as your regular morning coffee (Scientific American). But for those concerned with nicotine, there are E-cigarettes that don’t contain any. Want to know more about the inner workings of vapes? Take a look at our handy guide here or check out our freshest flavours here.